Learn More About God, Who Loves You Unconditionally, At A Church That Welcomes You With Open Arms. 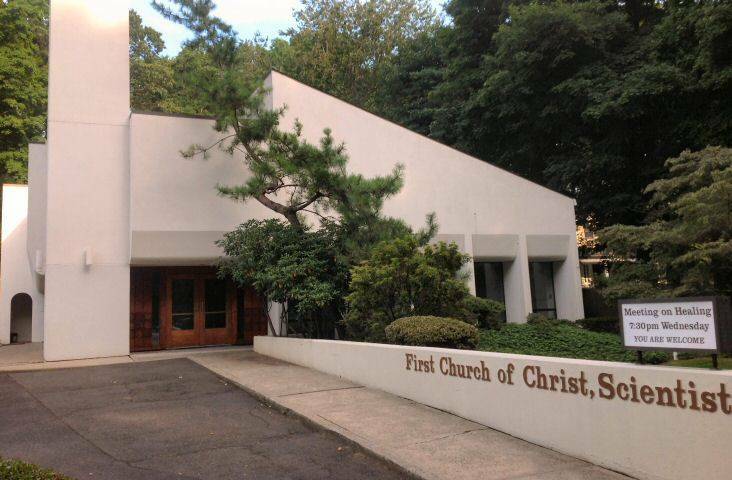 First Church of Christ Scientist, Westport, is located at 55 Compo Rd South, just off of the Post Road. We are a church dedicated to finding spiritual solutions and healing for every type of problem people face today. Depression, marital problems, grief, sports injuries, drug dependance, alcoholism, illness of every kind can be healed through prayer. We welcome you to join us and learn more about your relationship to our Father-Mother God, to feel the love of his Christ and to grow spiritually along with your friends and neighbors. 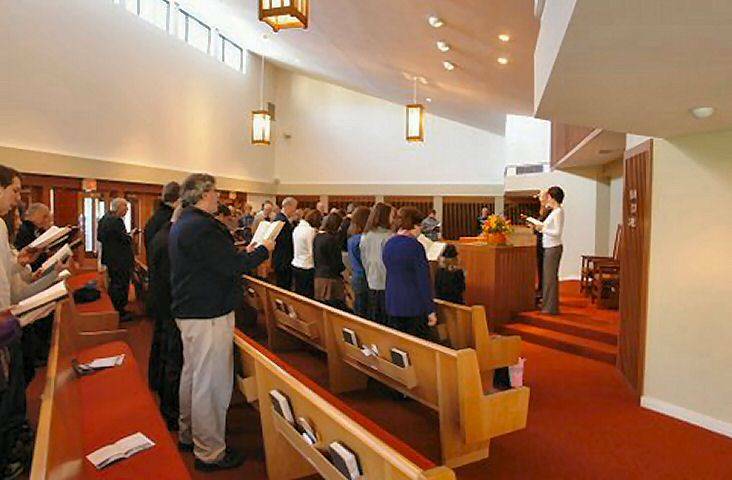 The Sunday Healing service is conducted by two lay readers elected from the membership who read a bible Lesson-Sermon which consists of passages from the King James version of the Bible and the Christian Science textbook, Science and Health with Key to the Scriptures, by Mary Baker Eddy. Also included in the service are readings from the Scriptures, prayer, hymns, and other musical selections including a vocal solo. The Sunday school is located upstairs in the church building, and children up to the age of 20 are welcomed. Here, students can discuss ideas from the weekly Bible Lesson with people their own age and with an experienced teacher. Students learn to know and love God and how the teachings of Christ Jesus can help in overcoming problems they may face in school, in relationships, in sports and social activities, at work or anywhere. Parents are encouraged to visit with the teachers before and after the services to learn more about the curriculum. All are welcome! Wednesday testimony meetings are held in the church and last one hour. Topical readings from the Bible and from Science and Health are followed by the floor being opened to the congregation, to share how they have used Christian Science to spiritual heal physical, personal, financial and other problems. 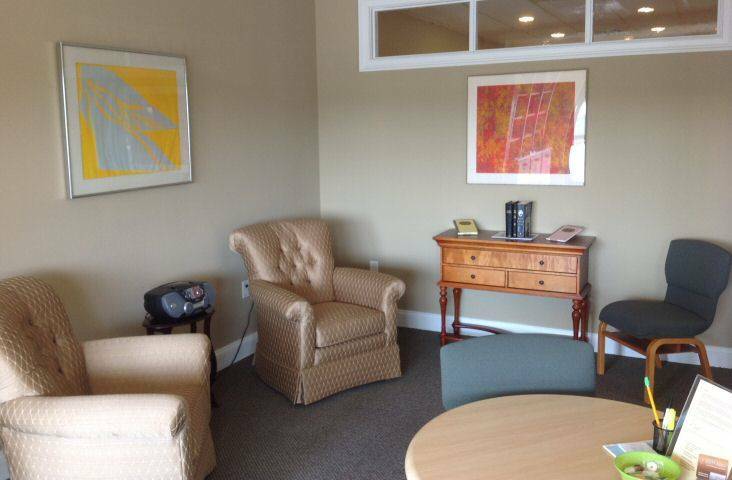 We provide care in our Children’s Room during all services for infants and small children. 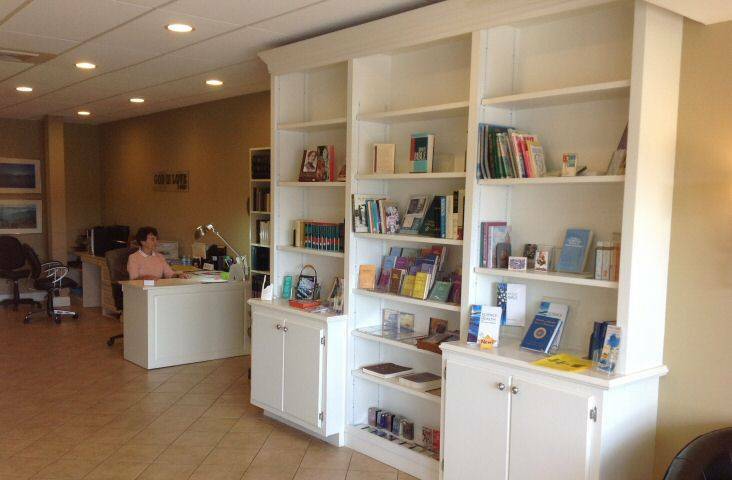 We maintain a reading room in Stratford at 7365 Main Street in the Oronoque Shopping Center.The Reading Room is a spiritual resource center and bookstore, is a place open to the entire community where you can learn more about healing. There you can explore research materials on the Bible and Science and Health. These books and other writings by Mary Baker Eddy are available to be read, borrowed or purchased. A computer is available for reference use. In addition, other publications are available, including the Pulitzer Prize award-winning weekly newspaper, The Christian Science Monitor that may be read or purchased. 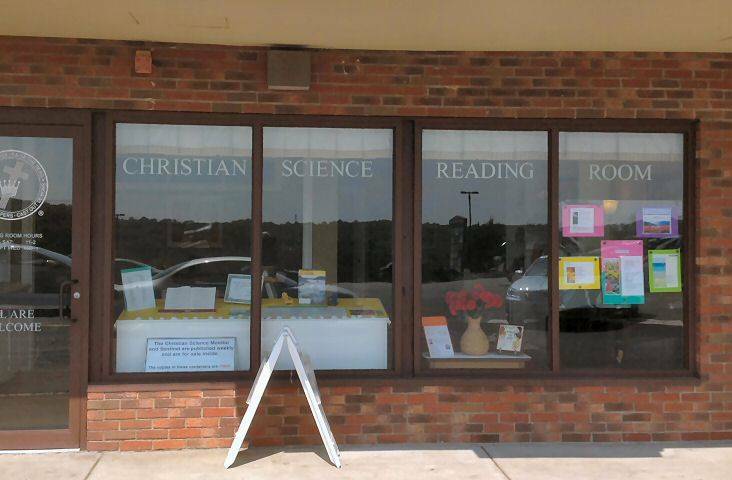 An attendant is always on duty during operating hours to help answer any questions about Christian Science. Christian Science is an established denomination and a deeply committed Christian church whose theology rests upon the inspired teachings practiced by Christ Jesus and his disciples. First Church of Christ, Scientist, Westport is one of the many branches of The Mother Church, The First Church of Christ, Scientist in Boston. Mary Baker Eddy established The Mother Church in 1879. “To organize a church designed to commemorate the words and works of our Master [Christ Jesus], which should reinstate primitive Christianity and its lost element of healing” (Church Manual). You are always welcome at our services. 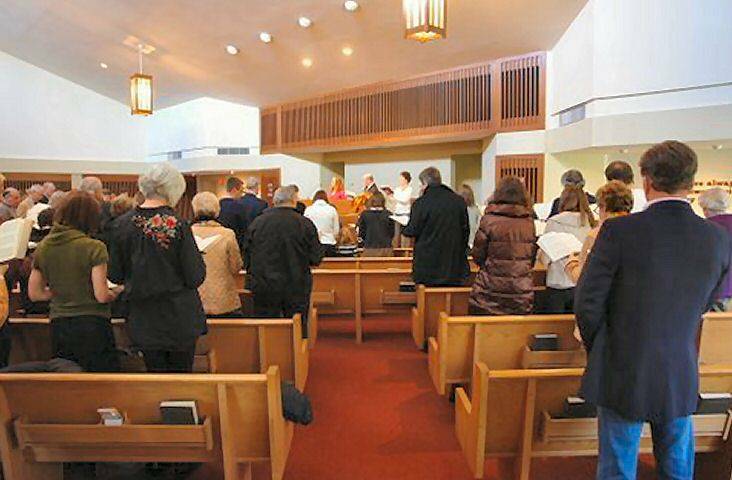 This church sponsors lectures, giving our community the opportunity to learn more about the teachings of Christian Science and their application to daily life. If you are interested in receiving an invitation to the next lecture, please fill out a card from the pew rack and give it to an usher. Practitioners are available to help individuals find healing through prayer. They can also help answer questions about Christian Science. You’ll find a directory of practitioners in The Christian Science Journal. Free copies are available in the lobby. Click the button above to make a donation to our church using your credit card or PayPal.